There’s something about Christmas that feels decidedly romantic. Our romantic Christmas Card took its inspiration from the runways this year. This holiday season you can expect to feel romance in the air as the latest fashion trend continues to channel a noveau Victorian vibe. Fashion-wise, this means light blouses, breezy silk skirts and see through clothing such as sleepwear presented as outdoor wear. “Lace is a common element in ensembles that are considered romantic; it’s a prominent material used in lingerie, and it’s something that’s transcended decades,” says Alicia, who runs a lingerie fashion blog, Bra Doctor. Commenting on how fashion designers took this element to the next level, “Elie Saab opted for pretty panels of lace in a low-cut white dress, perfect for a dramatic cover up in the summer, or with a strategic slip for a night out. 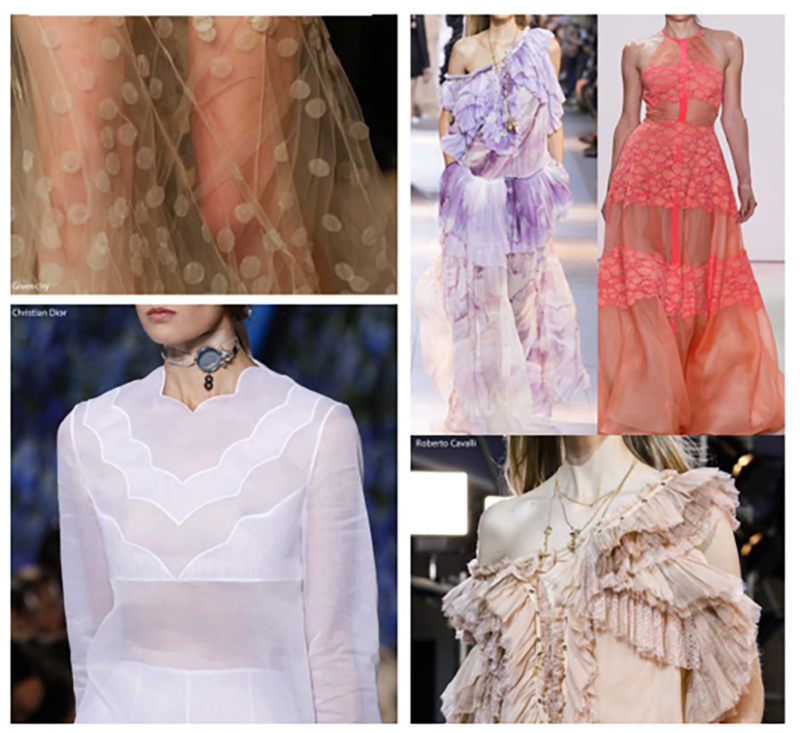 Givenchy takes a cue from a chemise with a peekaboo lace bust and a lacy hem, while Oscar de la Renta attached a thin lace neckline to a gorgeous pink gown.” Meanwhile, Roberto Cavalli and Gucci infuse their fabrics with jewels, ruffles and embellished trims with romantic air. As this fashion trend carries over into the holiday season, we can expect the twinkling lights and the cozy feeling of Christmas to become even more exciting with stunning new romantic Christmas card looks. As we enter this festive season, thinking of our loved ones can be expressed through romantic, personalized Christmas cards which are easy to custom design with photos, greeting message and selecting a design that radiates that “Romance in the Air” feeling. We have suggested some of our latest romantic Christmas Cards below that make it easy to express your true emotions. Romance is definitely in the air with Snowflake Story. 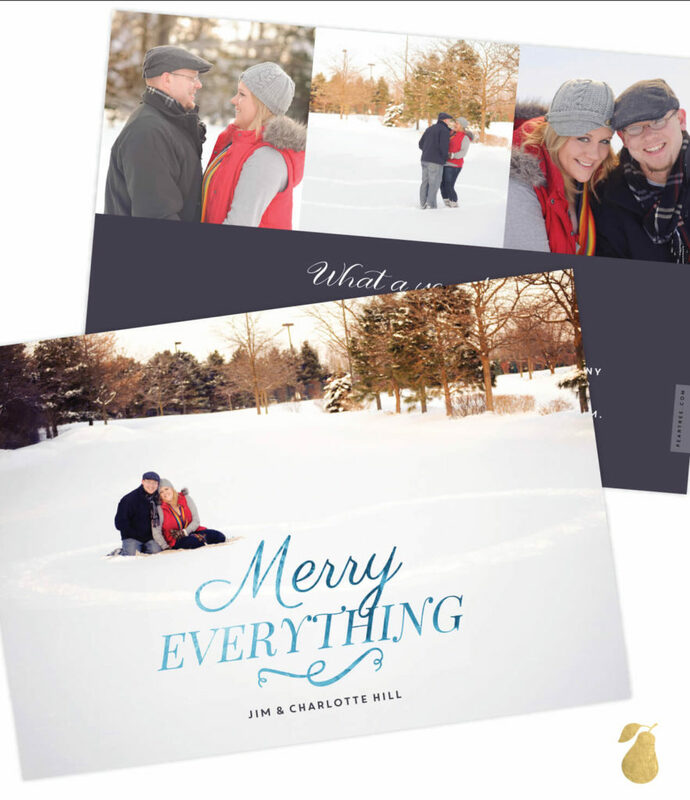 Express your love with elegant snowflakes in your custom designed holiday photo card. Snowflake color can be selected by you and up to six of your favorite photos to create a collage of warm memories. After all, when love is in the air, the feeling is truly special. Underneath your beautiful collage is a place to add a touch of romance with your personalized message to make you and your loved one’s heart race. “Romance is the glamor that turns the dust of everyday life into a golden haze.” Wish your family and friends a Merry Christmas with a photo Christmas card where romance and glamour collide to add a touch of old-fashioned glory. 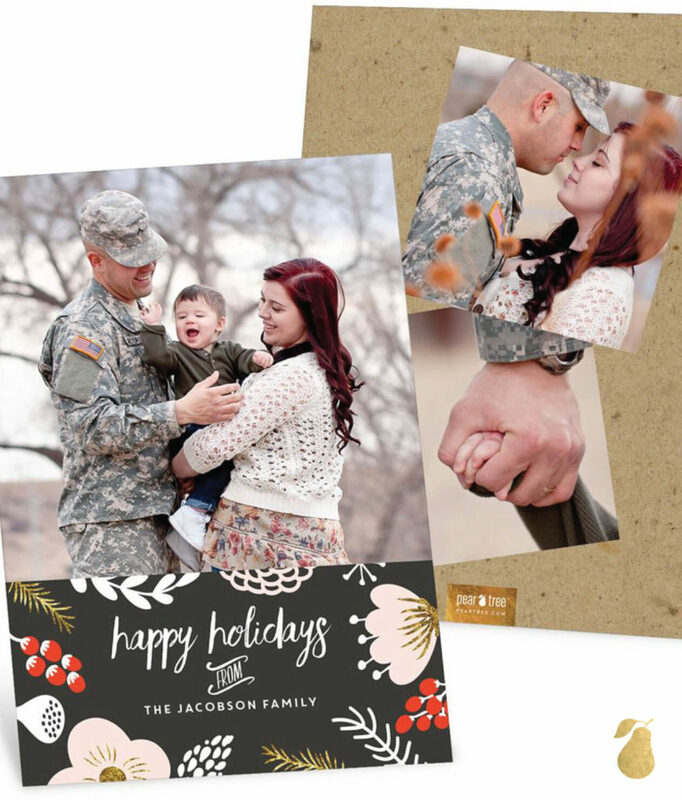 Add a featured photo with the pre-printed greeting, “Merry EVERYTHING”, while being able to add Instagram-like square-sized photos on the back-side and a custom greeting message at the bottom half of the card. The only hard work you really need to do is to select which of your favorite photos you would like to feature on your romantic Christmas card to express your feelings. 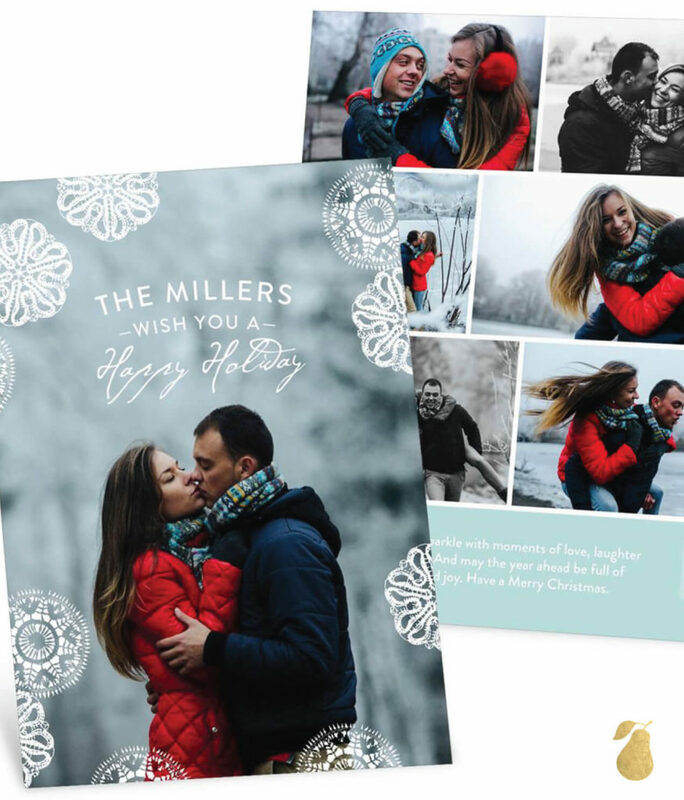 Blushing Blooms Christmas Cards makes it easy for you to fully customize your romantic Christmas card in minutes and feature you and your warm family. Whether you want to go in a traditional, modern, casual or fancy direction, you can take this custom card to another level by selecting your choice of flower design over the graceful black and gold faux-foil finishes on the front side, while being able to choose from four layout options in the back and the flexibility to add photos and/or your personal message. 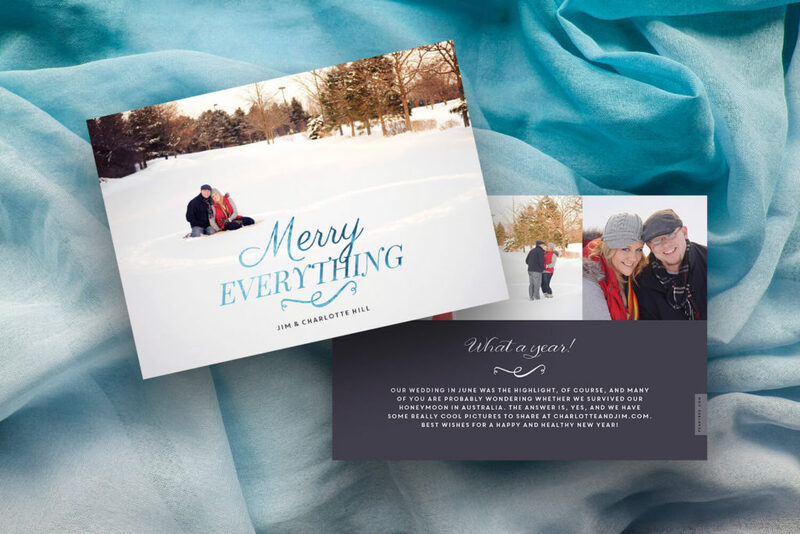 This makes sending custom Christmas cards sealed with love to be easy and fast.